Move over Moscato. You are so over. Rosé is having its moment. Everyone is writing about it, from Eric Asimov in the New York Times, Lettie Teague in the Wall Street Journal, Jon Bonné in the San Francisco Chronicle and countless wine bloggers. Everyone is drinking Rosé. Sales are on a rising trajectory, and everyone it seems, is making a Rosé now. I remember a time, not too long ago, when we were writing articles called “Don’t be Afraid to Drink Pink,” or “Pink wine is for Real Men.” Now Rosé is a serious contender all its own. We don’t have to say Rosé is dry, not sweet and that it is not White Zinfandel. We’ve all learned that good Rosé is dry, crisp, fruity and refreshing, but it still has a little structure which makes it great for pairing with all kinds of food. Good Rosé is not sweet or flabby. The French have always known this. 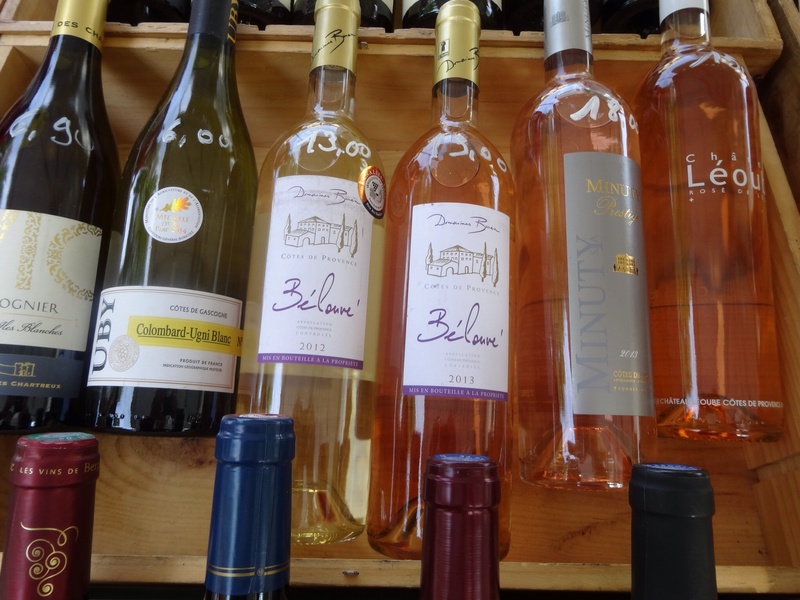 Some of the best Rosé in the world comes from Southern France – Provence, Bandol. Even Georges Dubouef, who is responsible for creating the marketing madness around Beaujolais Nouveau, makes a Rosé of Gamay. Clearly he knows a good thing when he sees it. Rosé is the perfect summer wine, called “porch wine,” “porch pounder,” or in the case of Liquid Farm’s Rosé, “pink crack.” At Liquid Farm considers their Rosé good enough to bottle in magnums. On release wineries can’t keep Rosé in stock. If you don’t snap up Big Basin Vineyards Rosé of Pinot Noir the moment it is available, it’s gone and you’re SOL. Yes, Rosé your time has come. With everybody writing about it, why do we need another article about Rosé? Well I’ve been quaffing tasting a lot of Rosé over the past few months and there are bottles I think you should know about and try that haven’t been mentioned. Not all Rosé wines are created equal. There are two ways to make a Rosé, which is always made from grapes that have red skins – Pinot Noir, Syrah, Grenache, Cabernet, Cinsault and on and on. Saignée is French for “bleed.” In the saignée method, juice is bled off the mixture of grape skins and seeds, after a few hours or a day or so. This direct contact with the skins is what gives the clear juice its color. A shorter skin contact time means a lighter color, from pale, coppery pink to deep, rich rose. Not all the juice is bled off – what remains is used to make a red wine of higher concentration in color and flavor. For many, the best Rosé wines are made with the dedicated, direct press method. Here grapes are grown specifically for making of Rosé. Grapes are crushed and juice is pressed off 100% for the pink wine. The press time is shorter than for the saignée method to obtain the pink color, since there won’t be a red wine made. But you really have to taste for yourself. There is no rule that all direct press Rosé is better. It depends on the producer, the grapes, the vineyard and the winemaking. Here are my favorites for sipping on this summer. • 2013 Muns Vineyards Rosé of Pinot Noir, Santa Cruz Mountains ($18) Method: saignée. This beautiful strawberry colored wine is fermented completely dry. It’s a crisp, bright juicy wine. Beautiful aromas of fresh strawberries, watermelon and a hint of apricot with zesty acidty. 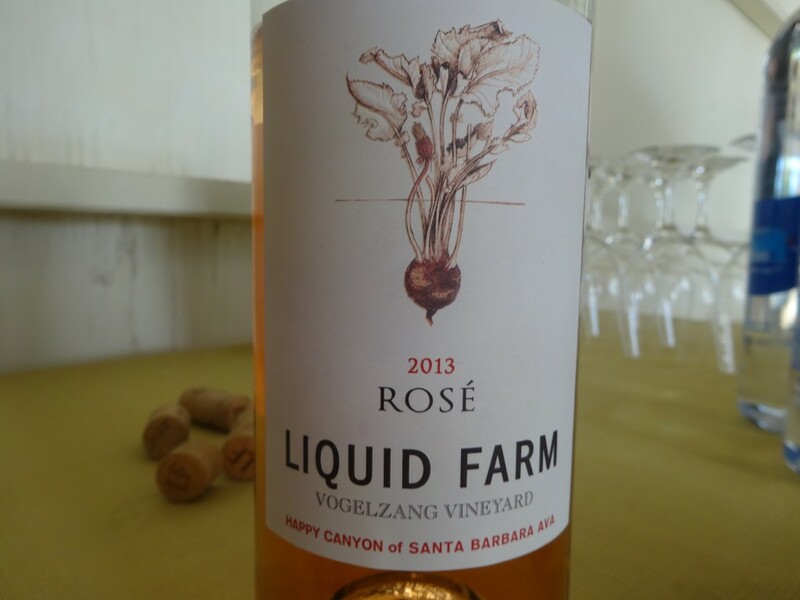 • 2013 Liquid Farm Rosé of Mourvèdre Vogelzang Happy Canyon ($24) Method: dedicated, direct press. Happy Canyon is a region within the Santa Barbara wine country producing excellent wines, including this single vineyard Mourvèdre Rosé. Liquid Farms calls it “pink crack,” because once you taste this you are truly addicted and must have more. Gorgeous, shimmering copper pink color. It’s tart and fresh, with pomegranate and rhubarb and a little honied peach in the bouquet. There’s also an earthiness and minerality that I don’t get in many Rosés and I like it. “Pink crack” has the yummy factor that keeps you wanting more. • 2013 Big Basin GSM Rosé, Santa Cruz Mountains ($22) Method: saignée. Get this one before it is gone. This blend of Syrah, Grenache and Mourvèdre is a beautifully balanced Rosé, with a deep rich rose color and heady strawberry and watermelon notes. I could sip on this all day. Crisp, refreshing, delightful, what a Rosé should be. • 2013 M. Chaputier “Belleruche” Cotes du Rhone ($15) Method: dedicated, direct press. A light salmon pink hue, with a fresh fruity nose full of strawberry and hibiscus flower. There’s also a nice minerality to it. Flavors are juicy strawberry and watermelon, balanced by racy acidity. It’s very dry on the palate. • 2013 Lucy Rosé of Pinot Noir, Santa Lucia Highlands ($18) Method: combination both direct press and saignée. Perhaps it’s this not-so common way of making a Rosé that makes Lucy, made by the Pisoni family, one of my perennial favorites. Juicy yet crisp, full of luscious strawberries and tart cherry. • 2013 B Cellars 2013 Rosé, Napa Valley ($26) Method: saignée. 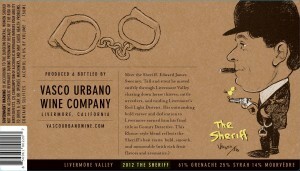 This is a blend of 85% Cabernet Sauvignon and 15% Syrah. It is a lot lighter in color than I would expect from these more concentrated grapes. Has a medium pink salmon color that is sheer and transparent. There’s aromas of watermelon, pomegranate and rose floral notes on the nose. The wine is medium bodied with fresh, bright fruit and a little spiciness from the Syrah. • 2013 J. K. Carriere Wines “Glass” White Pinot Noir, Willamette Valley ($24) Method: dedicated, direct press. The J. K. Carriere Rosé is a coppery, light colored wine, with a fresh, fruity nose. Lots of strawberry flavors with some watermelon too. Glass is clean and crisp, easy drinking with a medium finish. • 2013 Klinker Brick Rosé, Lodi ($15) Method: dedicated, direct press. A lovely, coppery pink color. This is a blend of 30% Carignan, 26% Mourvèdre, 24% Grenache and 20% Syrah. Bursting forth with strawberries, melon, herbs and bright acid on the nose. In the mouth, more of the strawberry now with watermelon and lime zest. The Klinker Brick has a nice long finish and is very refreshing, even with a hint of residual sugar. • 2013 Sante Arcangeli Family Wines Rosé of Pinot Noir Split Rail Vineyard, Santa Cruz Mountains ($25) Method: dedicated, direct press. This wine is love at first taste. Deep rose petal color, plum and raspberry on the nose with hibiscus flower and roses. It’s got a rich mouth feel with strawberry and plum flavors and a hint of spice. Super long, lingering finish. • 2012 Vista Hills Treehouse Orange Pinot Gris Rosé, Dundee Hills ($20) Method: dedicated, direct press. If you like to try interesting wines, the Vista Hills orange wine is for you. It’s not a typical Rosé because it is made from a white grape. Winemaker David Petterson ferments his Pinot Gris on the skins for eight days, which imparts the orange hue to the wine. To me the hue is more blood orange in core than orange, a very pretty color. 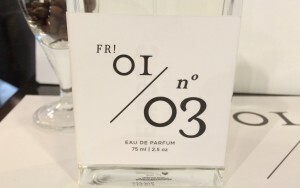 The nose has notes of mandarin orange, pomegranate and dried apricot. Blood orange citrus follow through in the mouth, but I also get rhubarb fruit. It is much higher in acid on palate than I thought, but not as juicy as a Rosé. There’s lots of stony minerality and hints of barrel aging. Turns out the wine is stainless steel fermented but aged for six months in neutral oak The wine is bone dry. • 2014 Mulderbosch Cabernet Sauvignon Rosé, Coastal Region, South Africa ($12) Method: dedicated, direct press. This is the first Rosé of any kind that I’ve tasted from South Africa. The wine has a medium watermelon color, with plum, cranberry and pomegranate on the nose. It has more texture than most of the other Rosés I’ve tried, perhaps due to the fact that Cabernet is just a fuller bodied grape. In the mouth, bright fruit, especially blood orange, and a weighty feel that would make this a great pairing with barbecue or burgers. 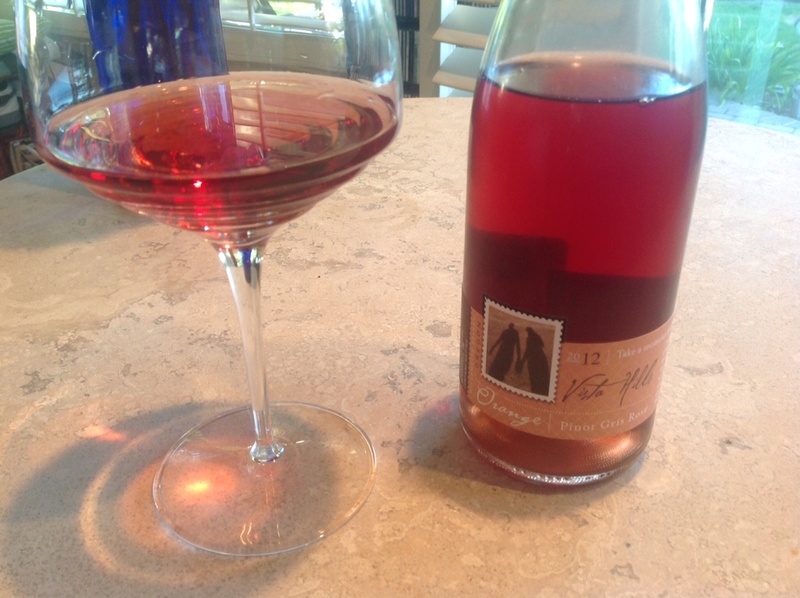 • 2013 Villa San-Juliette Reserve Rosé, Paso Robles ($20) Method: saignée. Summer in a glass, this blend of Grenache, Syrah, Zinfandel, Petite Sirah and Viognier is rich yet zesty on the palate. Lots of white flowers, thanks to the 1% Viognier. Fresh strawberry aromas and flavors. The 2014 Mulderbosch Cabernet Sauvignon Rosé wine is in my opinion a really great wine.